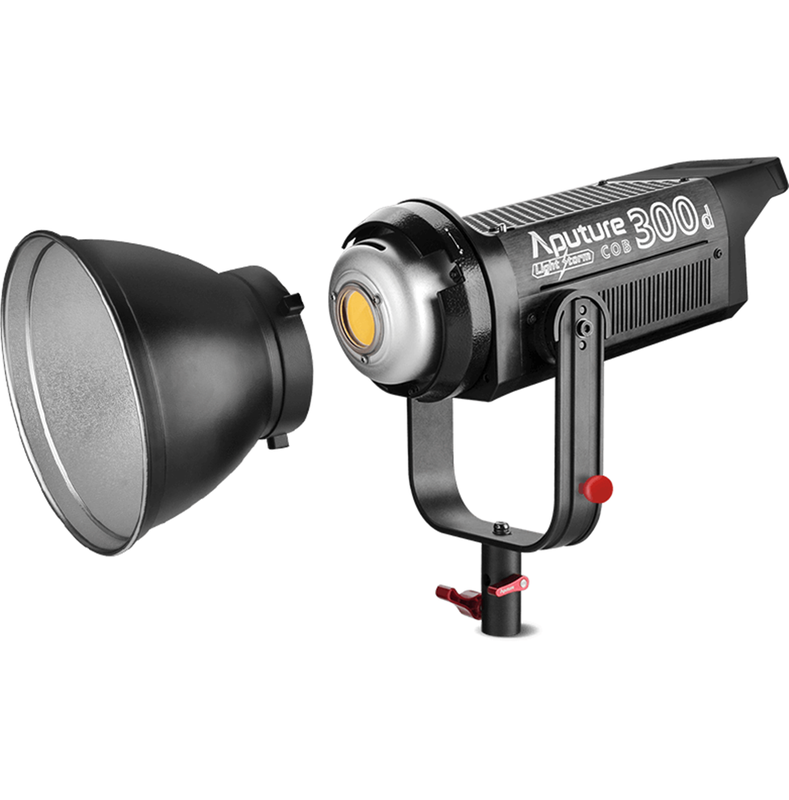 The Aputure LS C300d is the biggest and brightest light Aputure has ever made. 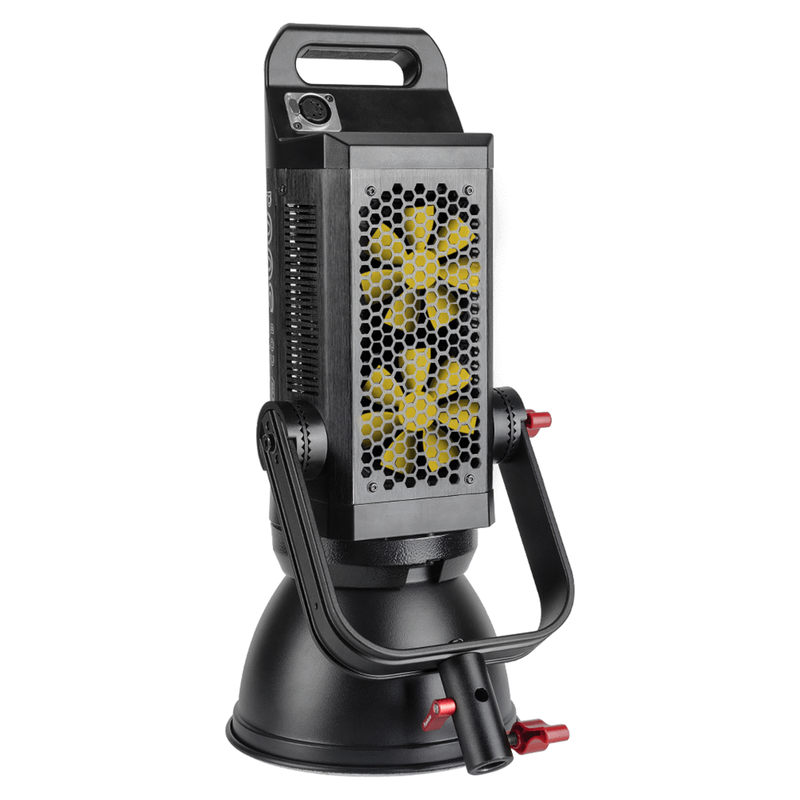 Winner of several awards (including Best Lighting Product at NAB), the LS C300d is a game changing COB light, boasting extremely powerful output, an advanced cooling system, portable build, and a TLCI rating of over 96. 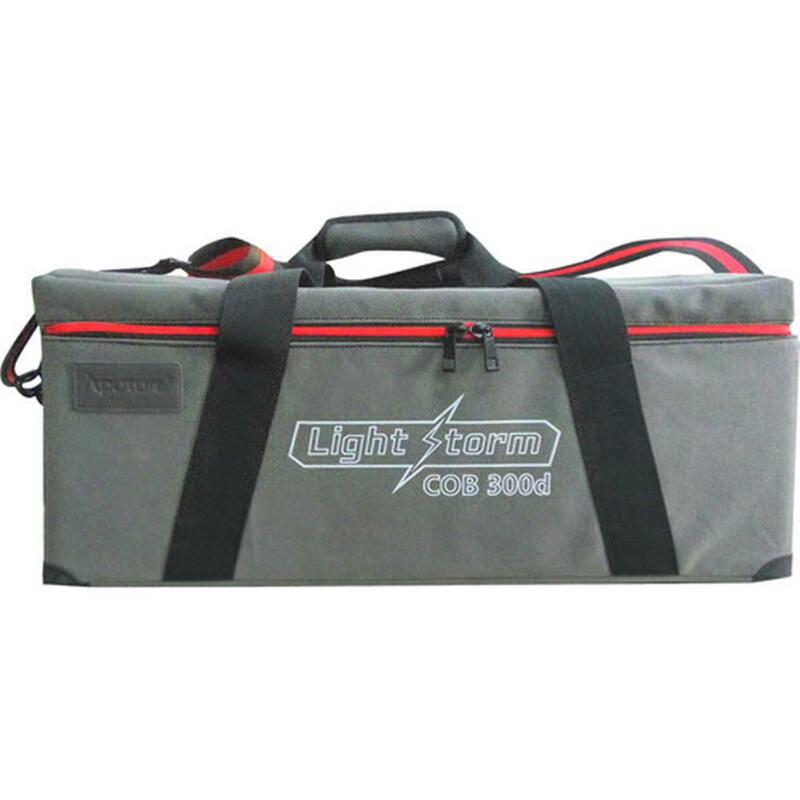 The LS C300d is the brightest LED light in the Light Storm series. 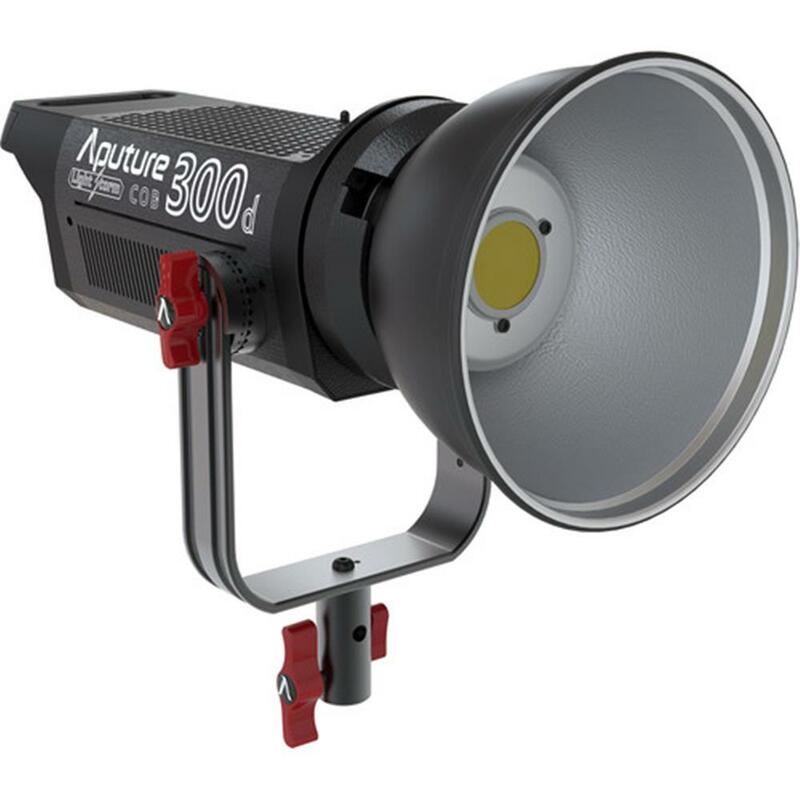 Boasting an impressive 48000 lux @ 0.5m with its included reflector, it can also reach an incredible 142000 lux @ 0.5m with our fresnel mount (with camera settings set to f/36, 1/200 shutter, and 800 ISO). 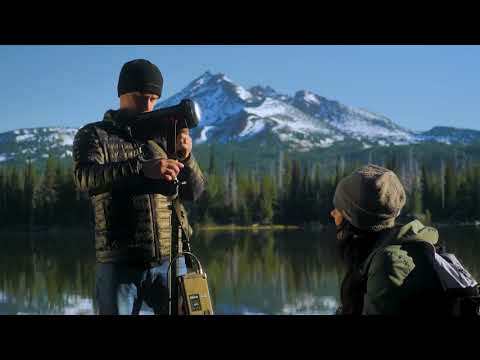 The LS C300d makes lighting nearly all scenes possible. 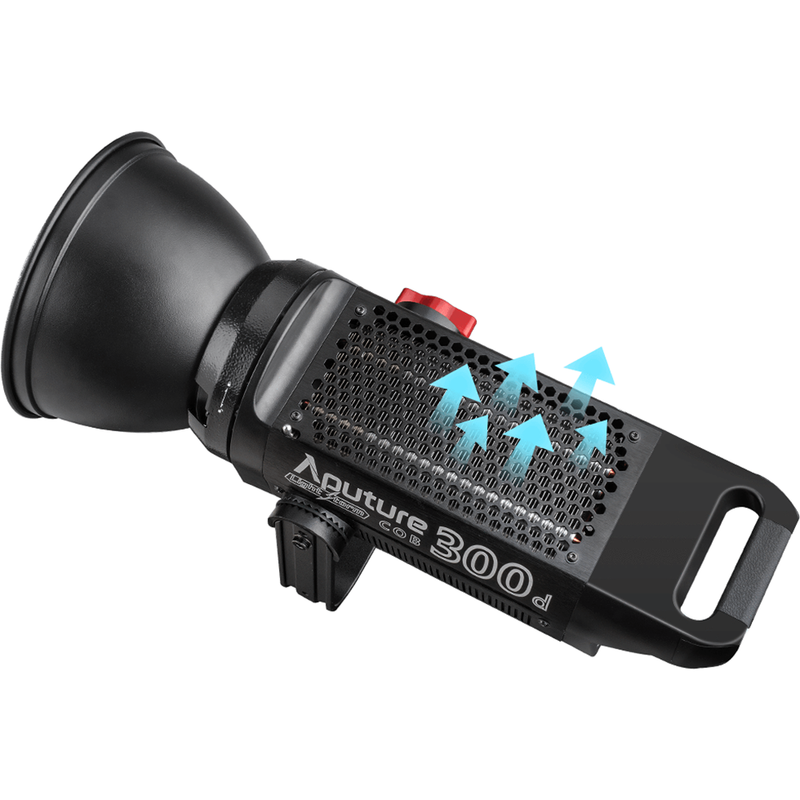 The LS C300d utilizes the universal Bowens mount design, allowing for a wide variety of available accessories, including but certainly not limited to Fresnel, Light Dome, and Space Light. The LS C300d has a remarkably intelligent temperature control system. Our smart fans come with advanced internal thermometers and vary their speeds based on the system's temperature. Even at maximum speed, these fans are impressively quiet and keep the light from getting too hot, eliminating the need for grip gloves. Using 2.4G FSK technology, the LS C300d can be adjusted in brightness wirelessly using a remote up to 100m away. Note: To ensure optimal performance, please use the the output current 12A, capacity more than 190WH of the battery.